Hello dearies, as promised here's the review of Meiji Amino Collagen supplement. It's not the first brand of collagen supplement that I've tried. 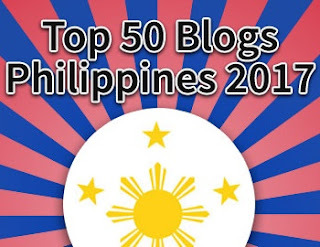 There are local brands in the market today and most of them are easily accessible. What made me itch to try this product is the country of origin- Japan. 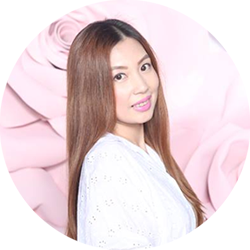 We all know that most of the Japanese skin care products are of high quality and effective even if some have a high price tag. “Feel the beautifying power of fish"
Daily use will help the skin become softer and smoother, with better tone and tautness. Wrinkles will begin to disappear, and spots will begin to fade. Problem complexions will be a thing of the past. Even your bones and joints can benefit. You will look and feel younger and healthier. Amino Collagen can be added to any beverage, hot or cold, without affecting color or taste. Glucosamine: a raw material for hyaluronic acid, which helps maintain the skin’s moisture. The recommended daily intake of collagen should be around 3,000-5,000 mg a day. 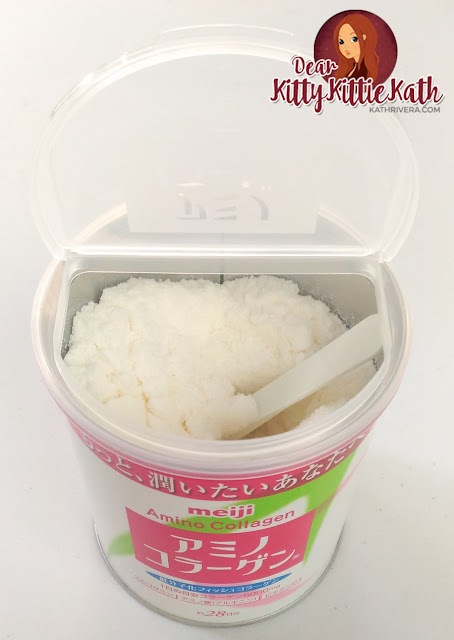 A scoop of Meiji Amino Collagen contains 5,000 mg already and once mixed with your favorite drinks, it becomes potent now that you'll be drinking it in liquid form. After consuming one can that is good for twenty-eight (28) days, I see promising and positive results not only in my skin but in my hair and nails. I noticed that when I was still taking the supplement, I look less haggard even if I only have 4 hours of sleep and running errands whole day. 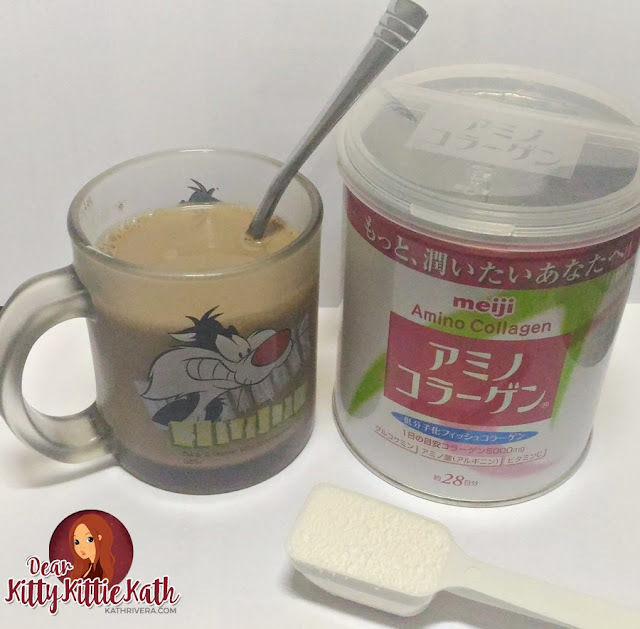 instruction for use: Just add 1 scoop of Meiji Amino Collagen in your favorite beverage (e.g., cocoa, coffee, juice, soup, yogurt, tea) before going to sleep. Easily dissolved powder. 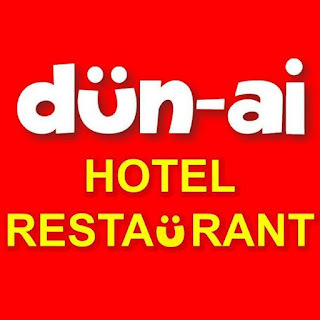 Enjoy with hot or cold drink. Best to drink on an empty stomach. You can still see eye bags in both photos, but on the second one, I look less haggard. Both photos were taken daytime and I also noticed one more thing, did I get lighter? 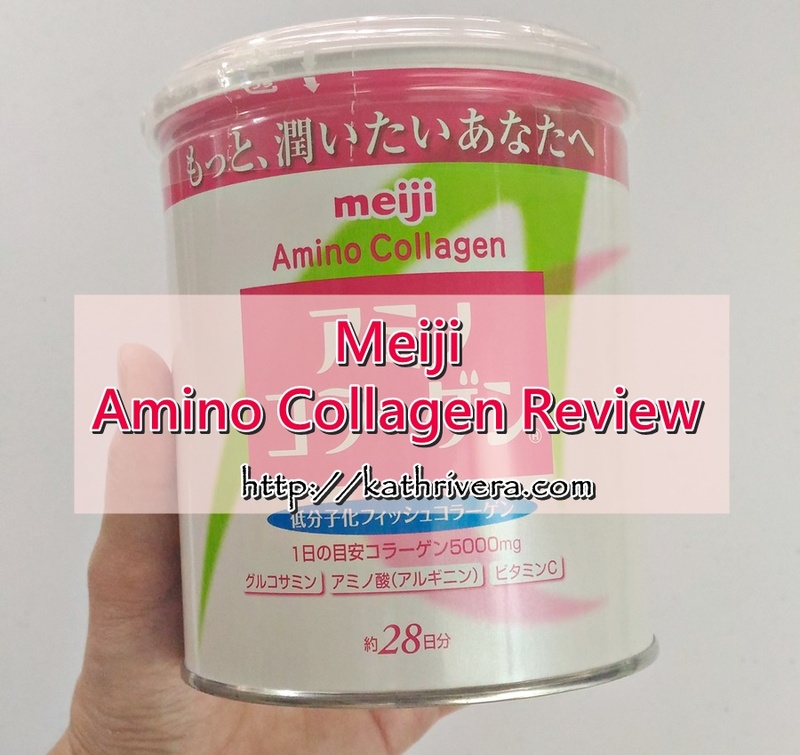 Meiji Amino Collagen is very affordable. Comes in a well-sealed can. It is double sealed- one with plastic wrap at the lid and another seal on top before opening the can. It's also available in refill pouch. Don't worry about measuring because it comes with a scoop. 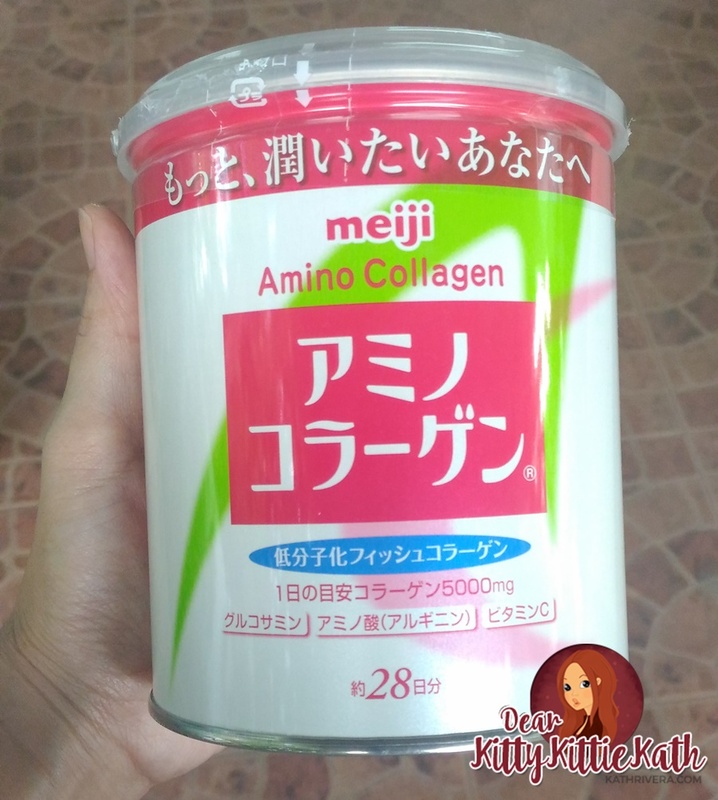 Meiji Amino Collagen also contains other ingredients like Arginine and Glucosamine for other health benefits. There's a mild fishy scent and my sensitive nose can tolerate it. The scent disappears once the powder is dissolved in liquid drink/s. 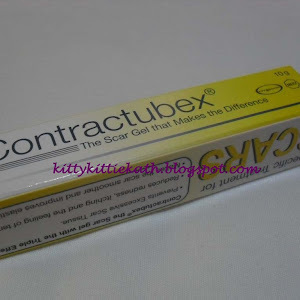 I didn't experience any discomforts like vomiting, headache, nausea, breakouts or whatsoever. It made my skin glowing even if there were times that I only have 4 hours of sleep. Made my skin soft and supple. My nails are less brittle and my hair fall lessened too. I always wake up with plump and moist skin. I look less haggard too. My skin looks healthy and shiny- not the 'oil' type of shine, if you may ask. Since it made my skin plump, I look like I gained weight. I can see fats under my jaw. Will I purchase? Yes! This is in my oral anti-aging supplement list and will buy a refill every now and then when I ran out of stock. Good thing there is a refill with the same price of the can but has an extra scoop for two days. I give this a 5/5 rating. 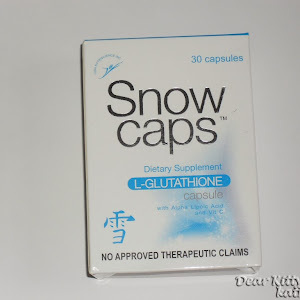 The price is very affordable and this is the best collagen supplement that I've tried so far. Since I don't have crow's feet around my eye area, I'll be neutral on that. 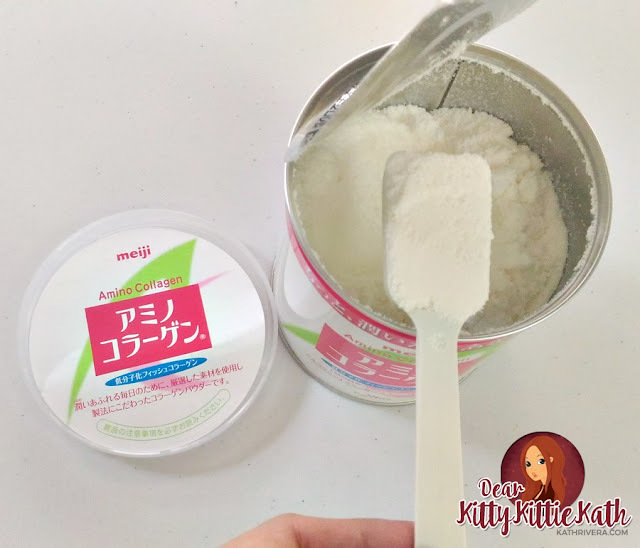 I have pre-mature wrinkles in my undereye that's visible if my concealer creases but during the time I'm taking Meiji Amino Collagen supplement, I rarely see my concealer crease. 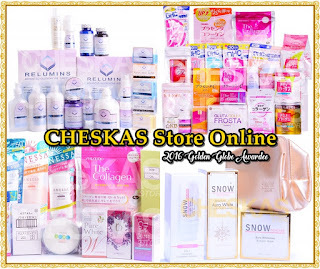 DISCLAIMER: This product was sent to me by Cheska's Online Store for review. 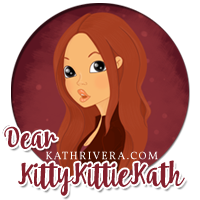 The views expressed here are my honest opinion about the product. What works for me may not work for you or vice versa. I don't take collagen supplement on a regular basis. My review is based on my experience during the time and period I'm taking it. I'm currently taking orihiro its my first time to trycollagen drinks & i love the taste especially when mix in choco drink, so i decided to buy another collagen product since i have an aunt in japan she bought me this meiji 2 packs good for 2 months but as i've read they said the taste of meiji is not good? Since you've try the two products whats your thought about the taste? Bcoz im thinking of selling my meiji now & buy orihiro na lang. Love the effect on my skin nakakatuwa though i just started 2 weeks ago i can see the effect & i'm happy a out it. Orihiro tastes better thatn Meiji. 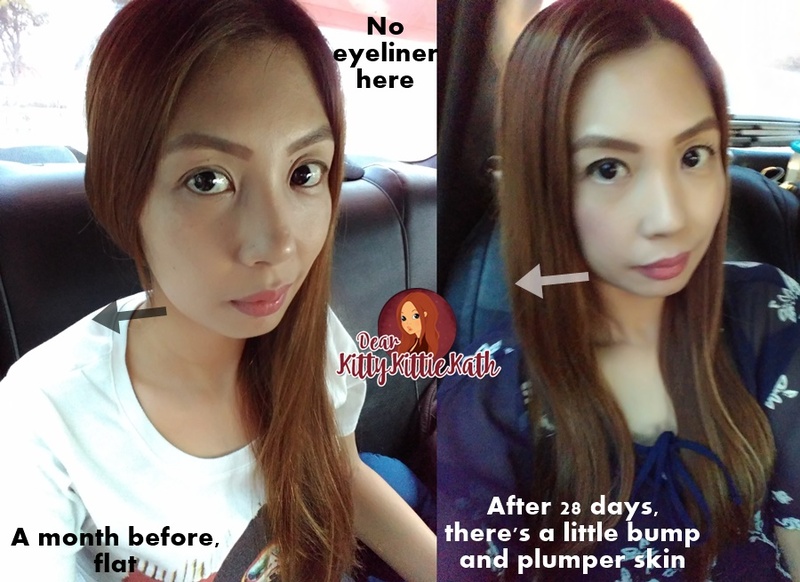 I also have a review of Orihiro Placenta and COllagen. I love both, they have in the same price range but they have different taste. Orihiro also dissolves easily than Meiji. Ms. Kath is it safe to combine 2 ishigaki premium + 2 500mg vit C + meiji amino collagen a day? Is that too much vit c for a person to consume? And is there a resting period after consuming this product? 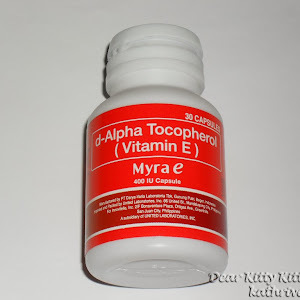 The maximum dosage of Vitamin C per day is 1,000 mg -1,500 mg. For therapeutic purposes, those who have Vitamin C deficiency takes more than that but this is according to the websites I've visited. The combination is okay. Since I only took those supplements you've mentioned above, I'm not sure if there's a resting period if you're planning to continue taking it for another month. Is this safe to take for breasfeeding Mom like me? I don't advice taking whitening and anti-aging supplements especially to breastfeeding moms. It's better safe than sorry. Hi Ms Kath okay lang ba pagsabayin myra e at meiji? Yes, both can be taken at bedtime. 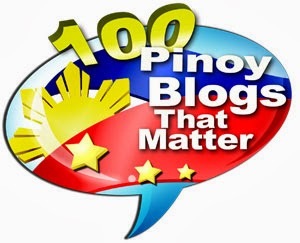 Hi ms kath,pwede din kaya sa lalaki ang product na ito?? I asked my Japanese Bf a similar thing and told me guys can take any collagen products here in Japan. What gluta and collagen and placeta do you regularly take as part of your daily routine? I actually read your review prior to buying my first collagen product. But, I don’t know what ever product I try, I don’t notice much difference like this Meiji collagen drink. What happened is that, it just made me go to the toilet every morning. I suffer from constipation, so that’s the only good outcome I got. But the main reason is sa face ko. Hindi padin smooth. But, anyway it’s just me. Thanks for the good review po.